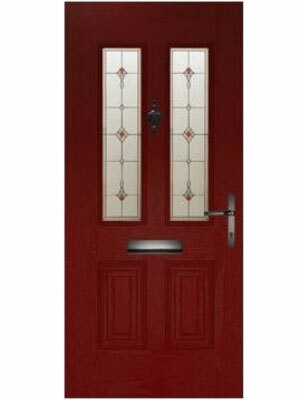 A composite door is an exterior door made from a multitude of materials, instead of a singular material such as wood or uPVC. 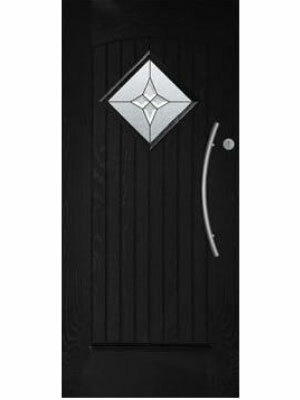 Our doors are made using a 65mm Reinforced Fibreglass Monocoque Structure to which a natural wood grained PVC skin is applied to the surface. 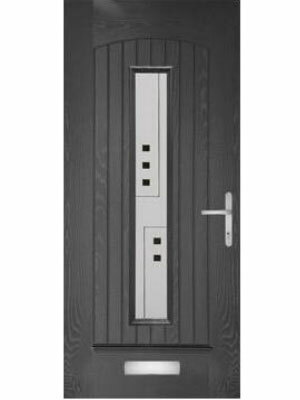 Each item has been carefully selected to maximise the doors structural and aesthetic properties. 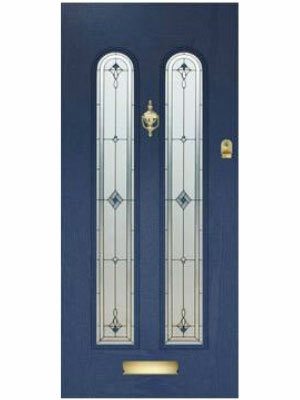 Why are composite doors considered to be better than other external doors? 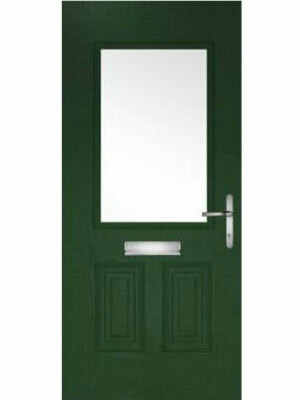 Composite doors are the very latest in door technology, and have been designed to banish the flaws of previous doors such as timber & uPVC. This knowledge coupled with the freedom to use multiple materials ensures that composite doors will not warp, twist or bow. They are also maintenance free and never require painting. They are also 6 times more heat retentive than timber and at least 3 times more than uPVC. Our doors are made using a 65mm Reinforced Fibreglass Monocoque Structure to which a natural wood grained PVC skin is applied to the surface. 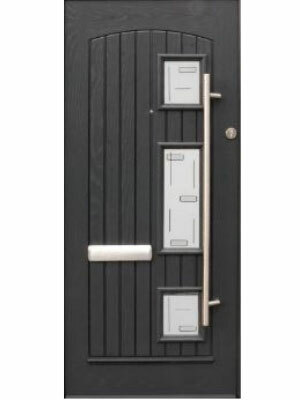 Each item has been carefully selected to maximise the doors structural and aesthetic properties. 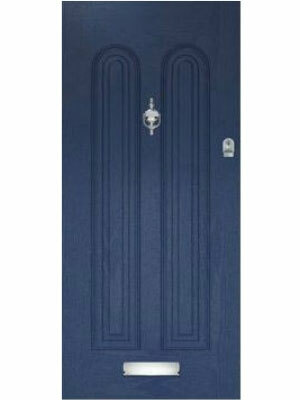 What colour is the inside of the door i.e. viewed from inside the house? 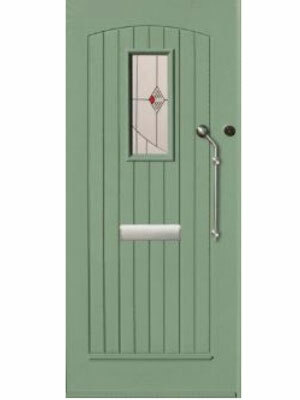 Most composite door suppliers only offer white as an inside option, but with us you can choose any colour you wish from our colour chart. 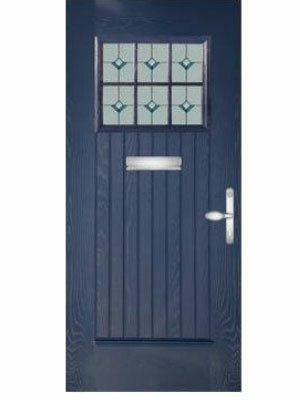 What is the life span of a composite doors? 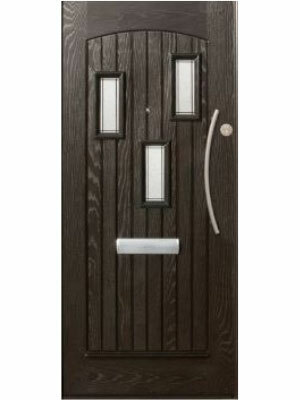 According to data from the Housing Association Provident Mutual and the Building Research Establishment, composite door structures are expected to last 35 years. Moving parts must be oiled yearly to ensure optimum performance. 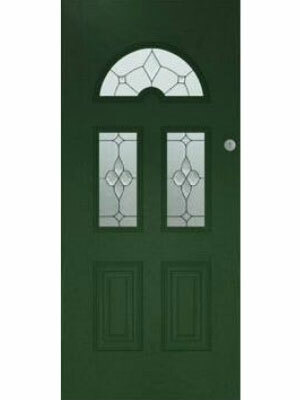 All door models have several different glass designs and backing glasses to choose from. 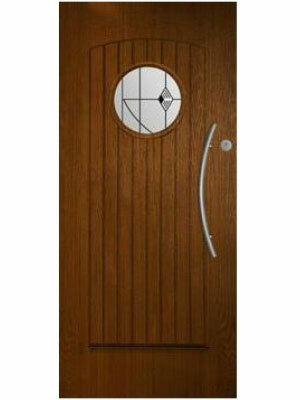 Are there different qualities of composite door? 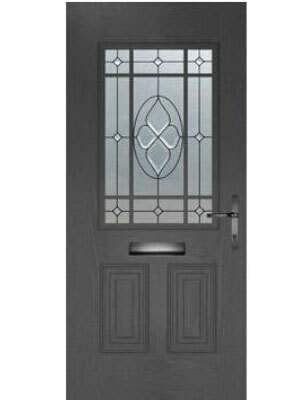 Yes, conventional composite doors are comprised of two 2mm skins bonded to a foam core. 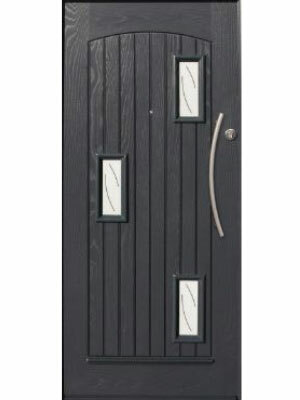 Our doors use a superior 65mm Reinforced Fibreglass Monocoque Structure. 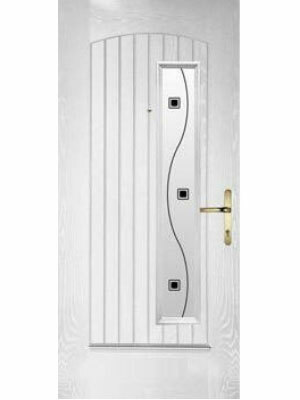 This monocoque structure does not only make our doors very durable and heat retentive, but also makes your door extremely strong and virtually impossible to break through. If you don’t believe us, then watch our demonstration video and see the difference for yourself. 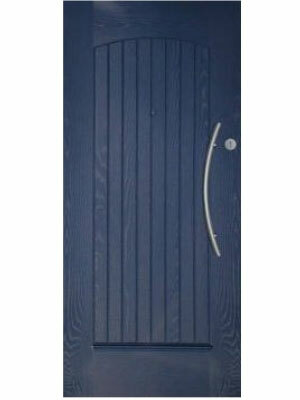 All of our composite doors are made to the measurements you give us. A nationwide fitting service is also available should you need it. 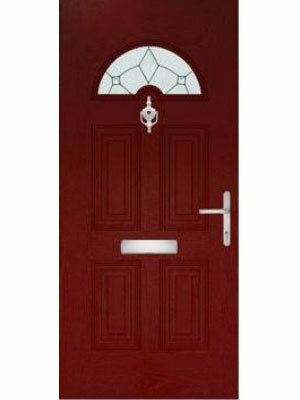 All of our composite doors feature coloured skins. This colour runs through the skin, rather than coating the surface. It does not wear away or fade like surface paints do. This ensures that the colour is long-lasting and reduces your maintenance levels to zero. All you need to do is clean the door with a cloth if it becomes dirty. If over time you become tired of the colour you have chosen, then you can paint the door, but only with high quality car body paint. 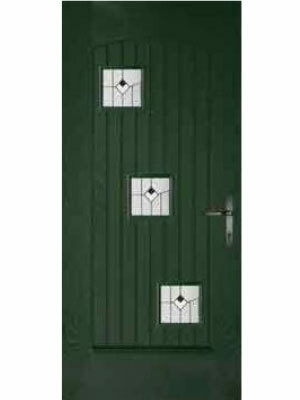 Can composite doors open without a key from the outside? The Lever Pad handle locks automatically once the door closes. 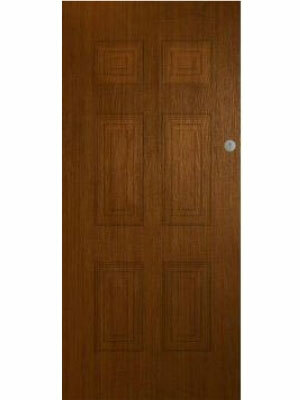 Your door will be secure from people walking in once it is on the latch. 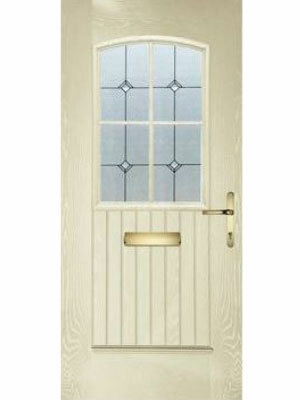 However, for added peace of mind, simply lift the handle vertically and it will engage all 8 locking points into place. A turn of the key will then double lock it. The Lever Lever handle will always remain open to outsiders, unless the handle is lifted vertically and the key is turned. My existing door is alarmed, what do I do? 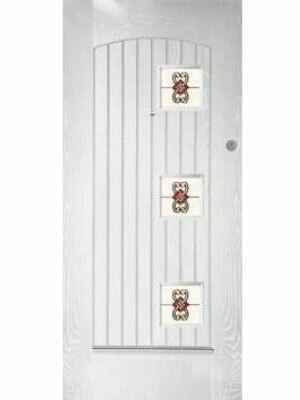 Before your door arrives and prior to installation, it is recommended that you call your alarm company to disconnect your alarm. Once your new door is in place you may then have them call back to reconnect. 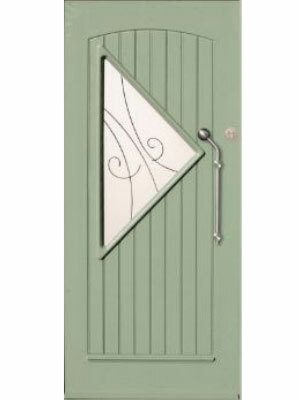 Can you get side-panels or fanlights? 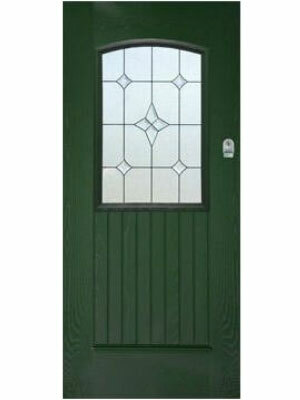 Yes, we supply matching side panels and fanlights with all door models, if required. 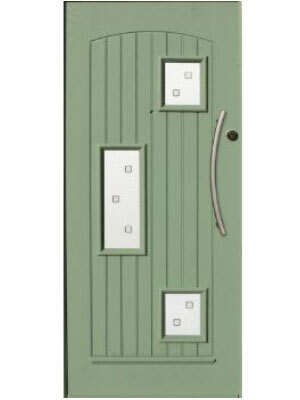 These side panels can match your composite door in colour and glazing, or else you can choose contrasting options…the choice is yours. 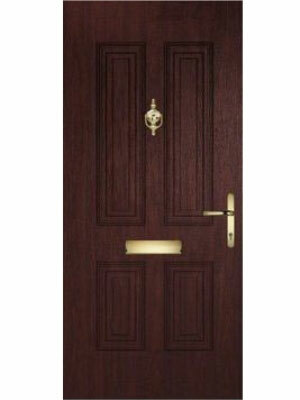 Caring for your composite door is easy. For optimal performance, it is important to oil all moving parts including hinges and handles on a yearly basis. Apart from that, the only maintenance required is to wipe the surface of the door down whenever it gets dirty. 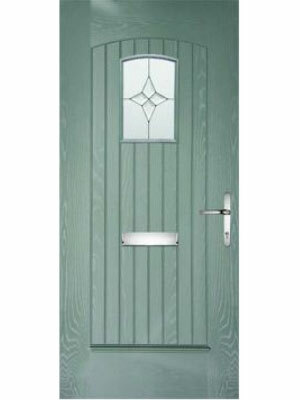 Composite doors are designed to never warp, twist or bend so should not be draughty. If you are experiencing draughts, make sure that your composite door is properly fitted and that the hinges have been adjusted correctly.